I had to apply three coats of the blue polish; it's a matte and was slightly streaky. However it was worth it!! 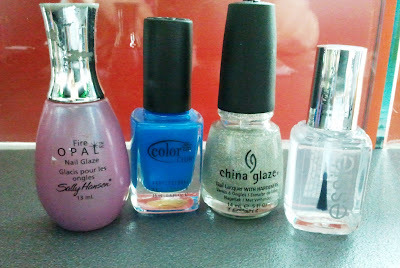 :) I really like this shade. 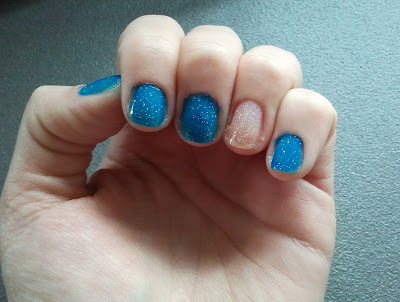 On my ring finger, I applied 5 coats of the glitter polish. 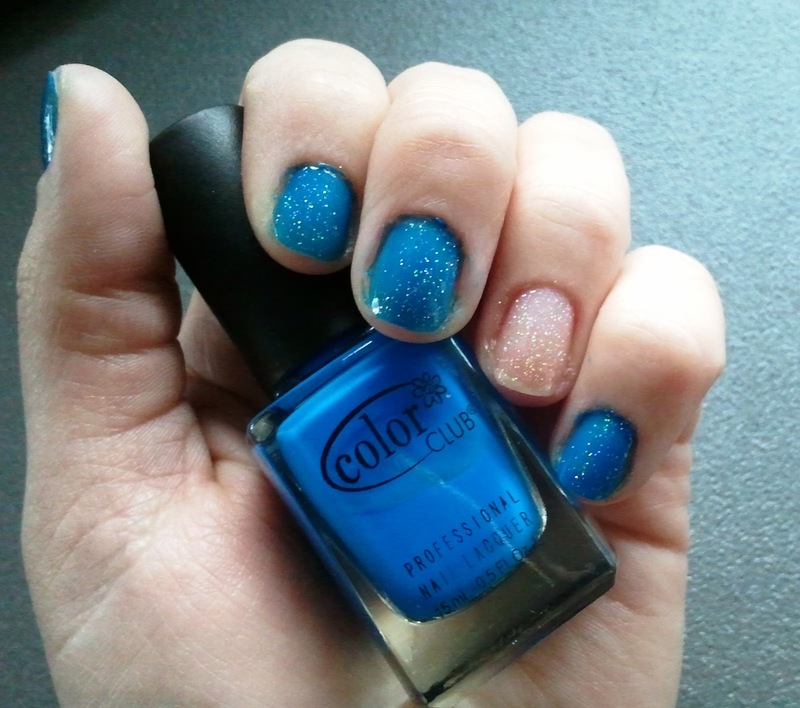 -Color Club Professional Nail Lacquer in "Chelsea Girl"
-China Glaze Nail Lacquer with Hardeners in "Fairydust"